After a brief hiatus, the blog is back! And, after a short time away, I have returned with another follow-on to Laura Perry's guest post on writing the real world - click here to read her post! I am joined this week by Ken Magee, author of Dark Tidings and its sequel, Black Conspiracy, both available to buy on Amazon! The third in the series, A Darker Shade of Black, is coming soon. While this technomacy time-travelling comedy is partially set in the medieval period, it's not troubled by the issues of historical accuracy - this is not a Historical Fiction series, it's a Pratchett-esque romp through space and time. I will be looking into building a "fantistorical" world later, and perhaps also tracking down a Historical Fiction author to discuss the aspects of research and recreation of the zeitgeist of another time. However, Magee has taken great pains to create the 'illusion of the medieval world' through the smaller aspects of his research as well as broad-brushing. Some fantasy writers have to work incredibly hard to build a mystical world for their characters to inhabit. There are so many questions to answer. What colour is the sky? How many moons are visible? Is there vegetation and what about gravity and air? There is so much detail we take for granted in our ‘normal’ world. We know about night and day, and how long a day lasts. We know about history and how our world came to be the way it is. We understand descriptions of architecture, culture, fashion, religion, crime and punishment, weapons and war, currency, food, how long people live and, naturally, language. Of course, not all of this needs to be considered when building a new world, but the author needs to know enough about his imagined habitat to ensure everything around his characters remains consistent. And indeed, his characters personalities, aims and ambitions will all be shaped by the environment in which they live. Authors of contemporary, historical or urban fantasy have a much easier time, or do they? I thought it might be interesting to jot down a few of the things I do to draw the reader into the story and make them believe that magic is real and it’s all around them. And, by the way, it is. Before I look at my world building, I want to mention one of the unbreakable rules in fantasy… if there’s magic, there has to be a magic system. I wanted mine to be simple and readily understandable… and it is. I won’t go into the system here, but I will stress how vital it is that all spells and enchantments adhere to the rules otherwise the belief in the story is broken. As far as weaving magic into the twenty-first century way of life goes, I was determined to make it believable and consistent. First, I needed to explain, in a logical and believable way, how the magic came to exist in our modern world. Then I wanted to challenge the reader’s perception of the world… maybe there’s more to this magic malarkey than meets the eye. That actually required me to work my imagination muscle pretty hard. One technique I used was to interlace little sub-plots which suggested that some of the phenomena we think we can explain with science are in fact a result of magic or the action of supernatural powers e.g. global warming, the expanding universe, weather forecasting and evolution. I think this helps blur the line between fact and fiction. So much so, that I now believe half the things I made up… which isn’t going to help me in my science exams. Okay, where does the magic happen? My ‘ancient magic meets the Internet’ trilogy mainly takes place in the twenty-first century. What’s that world like? Well, just look out the window! That’s that sorted. A bit too easy maybe, so let’s have a glimpse at a thousand years ago. 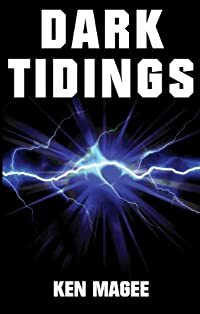 Dark Tidings, the first book in the trilogy, began in medieval times, an age when magic dominated society. Let’s have a quick look at just a couple of the ways I built the illusion of the medieval world. This time I couldn’t just look out the window, but looking at the Internet was nearly as easy. I researched the relevant years and made sure the buildings, customs, clothes, foods etc pretty much reflected the period… that really wasn’t too difficult. I have plenty of scenes which reflect life a thousand years ago. There is poverty, most food is rubbish, ordinary people suffer arbitrary imprisonment, torture is commonplace and rich folk (like the barons and earls) have all the power. Actually, not much has changed if you think about it. On top of that, the story is peppered with real events, like the battle of Hastings or the problem with the Vikings. I think introducing things, with which people are familiar, adds to the believability and once again helps blur the reader’s perception of what’s real and what isn’t. The blurrier the line between fact and fiction, the more credible the whole story becomes. The characters’ names are important too. I want them to either sound right or be right for the period. And if I can use the name to build a little amusing anecdote, that’s a bonus. Let me take Courtney as the example. I was surprised to discover it was a popular medieval name. It’s derived from the nickname for a person with a snub nose, from the old French ‘court nez’… court (short) and nez (nose). It was also the nickname of a hero from a medieval story… an axe took off the tip of his nose in a battle. Now’s there’s a little story which needed to be told. Interesting, true and fun. As a side note, I have a particular dislike of difficult to say names, they slow my reading each time I encounter them. Some Sci-Fi authors are particularly prone to this. Come on guys, I don’t need to learn how to pronounce Xyegraroxivert to believe he’s from another planet. One thing I decided not to do in my thousand year old world was make my characters use medieval language. A few reviewers commented about that, but I’m happy with my decision. The vocabulary was extremely limited back then and I felt that restricting myself would detract from the storytelling without really adding to the authenticity of the setting. For example, how many people know that the word ‘money’ wasn’t used until about 1250? Does using that word really destroy the image I’m building? I don’t think so. Once my characters arrive in the twenty-first century they do get confused by modern terminology, customs and of course, technology. I think that’s enough to keep the reader believing they’ve travelled a thousand years across time. And, of course, some of the misunderstandings are very funny. Oh, my computer’s reminding me about my next appointment. The magic of technology! Before I go, I guess I should try and summarise this little snapshot of my world building. How about, ‘be consistent and blur the line’? Like the sound of this? Follow Ken on facebook, twitter, amazon and wattpad!